You (probably) know that this is the era of Agriculture. 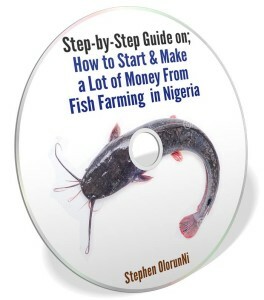 You probably know that you can make a lot of money from the fish farming business in Nigeria. 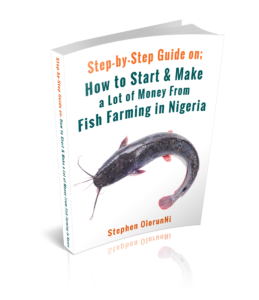 you can start your own fish farming business in Nigeria and make it successful. But you see, I'll like to tell you the truth. 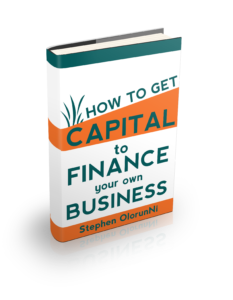 While you could make a lot of money from the fish farming business in Nigeria, you could as well lose all your money. I'm sorry, but that's the truth. Why Do People Lose Money in Fish Business? 2. The second reason why most people lose money in the fish business is because they don't bother to learn. Many people have called our company who didn't have any practical training before starting out. That's stupid, I tell you. 3. The third (and the most popular) reason why most people fail in the fish business is because they don't know anything about business. They are mere fish farmers, not fish entrepreneurs. So many people think it's just a farming venture. They think it's just about feeding fishes and selling them. If it's just like that, everyone would have been millionaires, don't you know? If you think fish business is just about feeding fish and selling them, you've failed before you start, I'm sorry. 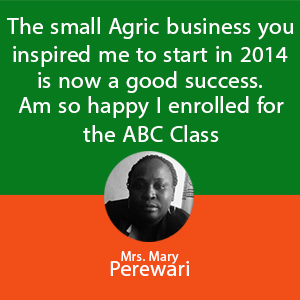 Our goal is to contribute to the Agricultural revolution in Nigeria. We've started a part of this mission since Sept. 29th, 2007 (more than one decade ago) and the second part got started in Feb. 19th, 2016. Our company has worked with many people, among which is the Lagos State Government. The above photograph shows our CEO, Steve O. Courage (right) and the wife of the Lagos governor, Mrs. Bolanle Ambode (left) on 15th of August, 2017 after our company worked with the Lagos State government to train some Lagos youths on Agric Business. On Feb. 28th, 2018, our CEO was among the 25 people who had a meeting with the Nigerian Vice president, Prof. Yemi Osinbanjo inside the Aso Village, where Steve O. Courage presented to the Nigerian Vice president, the plight of the Nigerian farmers. We want to give you the opportunity to visit one of our associate fish farms near you, to go through our practical fish farming training. You can also get our experienced farmers to work with you on your farm, as your consultants, so that you won't make mistakes that could lead to loss of your investment. Why are we giving you the opportunity to visit our associate fish farm (in different states of Nigeria) this month, for free? First, because we're passionate about entrepreneurship revolution in Africa. How can people work hard (for 5-10 years) to save money, then put the money into a business, only to make mistakes and lose it all? This is painful, don't you think so? Imagine you invest all the money in your bank account today into fish farming business and you wake up one day to discover that all your money is gone. That's painful and we don't want it to happen. We don't want you to make the same mistakes others are making and lose your hard-earned money. That's the reason why we are here to help you with our years of experience in the Nigeria business and fish farming world. 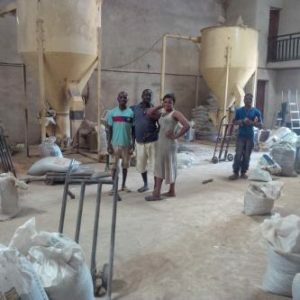 We could train you on fish management, fish feed formulation and fingernail hatchery. 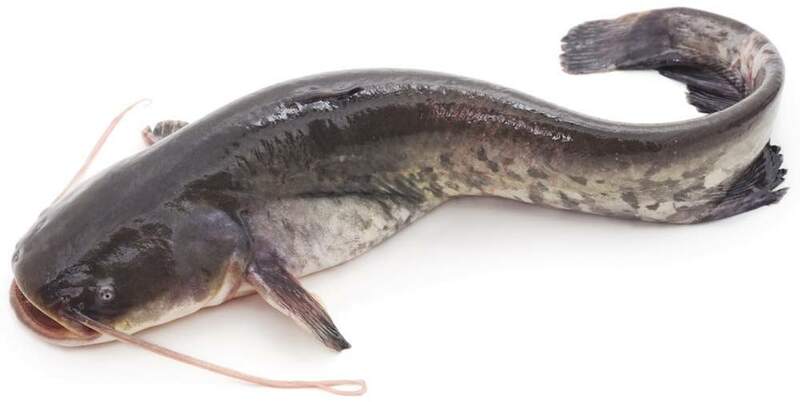 We could help you to write a business plan that would show you the estimate of the total cost and the expected profit of your intending fish farming business. In fact, our experts could work with you directly and guide you one-on-one, so that you won't make mistakes that could lead to lose of your investment. 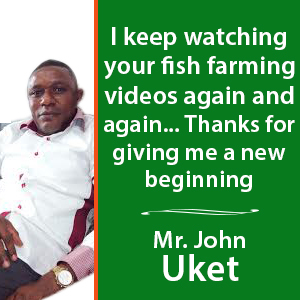 for you to succeed in your fish farming business. You may not know anything about business or fish farming but we do. 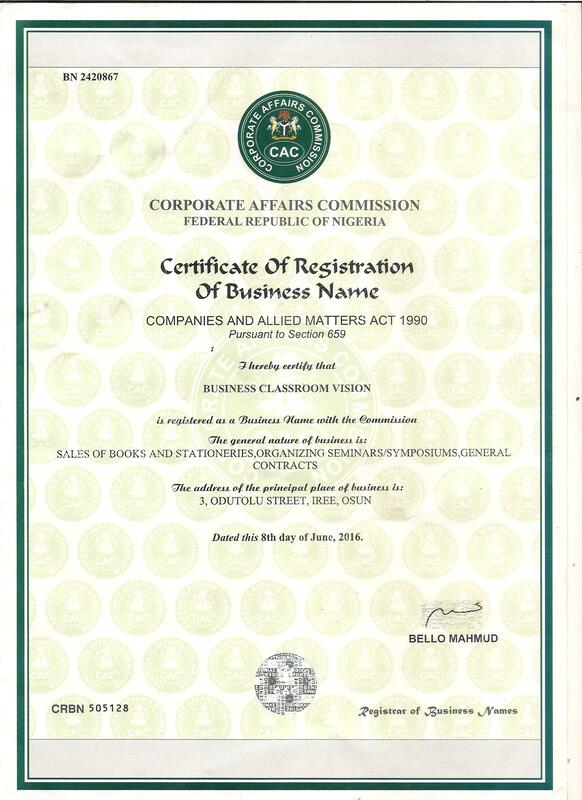 Many Nigerians will never want you to know what they know about any business. Yes, we are showing our trainees EVERYTHING. First, you don't have to travel to Kano or Yobe, if you're in Lagos or Niger. 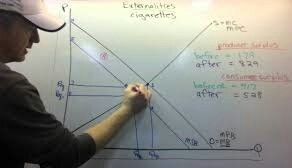 Second, we don't teach you nonsense theories. All our training are practical and intensive. Third, we don't just train you how to be a mere fish farmer. We will train you how to be a fish entrepreneur. Plus, we are not invisible internet guys. So, you can easily come to our office to discuss your intending project with us and we'll see how we can use our experience to help you. Nobody else can give you all these in Nigeria. yet it could be just theories (in an hotel hall) or a mere training on how to feed and grow fish. Those guys think if you know how to feed and grow fish, you'll sell and make money. Do you think it's that easy? 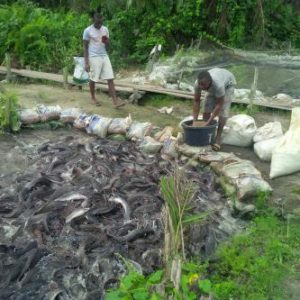 A man called us from Imo states in the year 2016 and complained bitterly about his inability to sell his fish. This is because he was a MERE farmer. He did not know anything about business. If all you know is about how to manage fish, you'll fail. You must be an entrepreneur first, if you want to succeed in the fish farming business. That's the reason why our training is 2-in-1. We have to train you how to manage a fish farm and we have to train you to become an entrepreneur. You too will be happy after our training or consultancy service for you! If our fish farm associate is not in your state, you can still go through our training, through videos and books. In fact, you can invite our experienced fish farmers to come and work with you, from ANYWHERE in Nigeria. We want to use our years of experience to help you, as you're just getting started. 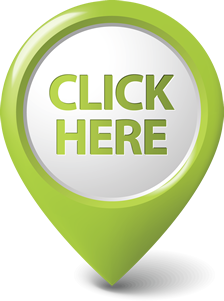 we can now show you, to help your business, so you won't fail. you can now use our formula and have less headaches. 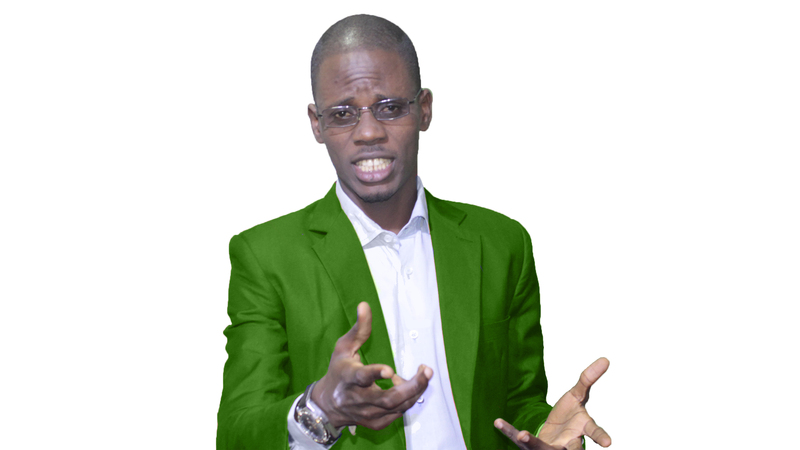 Let me quickly explain each of the above programs to you. If you choose our one-year-consultancy-service program, we'll be using our experienced fish farmers to work with you for a whole year. it would be wise for you to employ a pilot who has been piloting Jets for many years, first. what if you could have someone who has been in the fish business for years, using his experience to guard you, so you'll not make mistakes and lose all your investment? This will help you to succeed while other novice fail. Our one-year-consultancy-service program is like buying our years of business/fish farming experience. What our fish farmers have learned through mistakes and failures for many years, we're willing to use it for your success. This programs is like you buy a new car and you don't know how to drive yet. don't you think it'll be better for you to employ a driver who has been driving cars since last 7-10 years? In this way, you'll not be worried about crashing your new (precious) car as a learner. You don't want to "crash" your new fish farming business, do you? Then, you can let us act as your "driver"
You can employ this driver and make him to drive your car and teach you driving along side. One year after, when you've mastered how to drive yourself on the highways, you can continue driving yourself. That's how our one-year-consultancy-service works. it's like you're buying our hard-earned, many years experiences and knowledge. what if you can "ride" on our experience? won't you like someone who has been in that country for 10 years to guild you, show you the way and familiarize you with the country? First, we’ll speak with you on phone to know your plans. Our report would contain the kinds of pond you’ll need (depending on what you tell us on phone), the numbers of ponds you’ll need and their cost. We’ll let you know the current cost of fingernails, post-fingernails and juveniles. we’ll reveal to you the amount you would need to feed your fish from day one till harvest. The next thing we’ll do is to send one of our experienced team mates to visit your intending fish farm location. 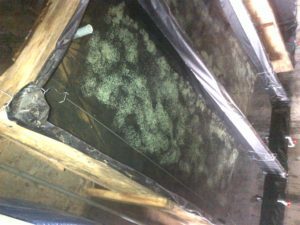 We’ll then reveal to you the best materials to buy for your fish ponds. 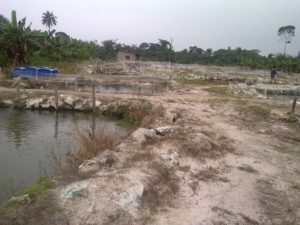 The next thing we’ll do is to send one of our experienced fish farmers to come and supervise the construction of your fish ponds. 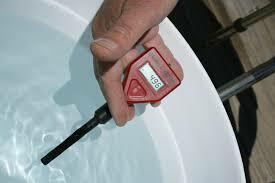 This is very important because if the PH of your water is too high or too low, you may run into lost of your investment. If the PH of your water is too high, or too low, we’ll use our expertise to reduce or increase it in the appropriate way. Then, we’ll help you to get the best juveniles or fingernails (as the case may be). Then, we’ll train your staff and guard you in whatever other necessary ways. to know what's going on on your farm. Plus that, we'll make monthly visit to your farm to check if there's anything that needs our attention. As your consultant, we'll be your "eye" in everything. that's how we'll hold your hand for a whole year, so that you won't make any mistakes that could lead to lost of your investment. I think that’s very interesting, what do you think? Our one-year-consultancy-service consultancy program is available for just very FEW people. Before we travel to Benue, Imo, Port Harcut, F.C.T, Lagos, Kano, a whole month is gone. If you're fast enough, you can get one of our one-year-consultancy-service slot today. 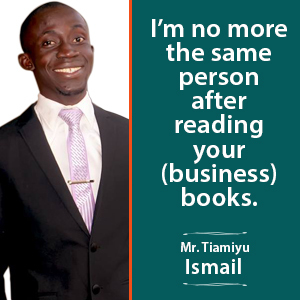 we'll register you for our 9-day intensive business training and train you with some of our business strategy books. knowing how to raise fish alone will not make you a successful entrepreneur. You have to understand business strategies and tactics. That's what our 9-day online business training will teach you. Our free practical training on the farm is a 3-week intensive business/fish farming programme (that doesn't affect you, even if you're busy like a banker). Our free practical training on the farm gives you the opportunity to visit one of our associate fish farms near you for practical training, Free. If you cannot get our consultancy program , you won't want to miss this one. 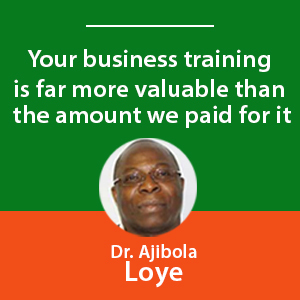 How would you invest your hard-earned money on a business that you don't even have any practical training about? That is as good as throwing your money into the fire. We have more than 100 associates farms all over Nigeria. Part of these farms are fish farms. You can easily go to one of our fish farms for training. 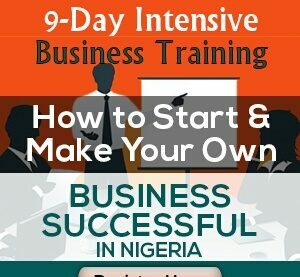 This is 3 weeks intensive business and fish farming training that will not affect you, even if you're very busy, like a soldier. we have made the training to be in different (practical) videos, various books and online training. 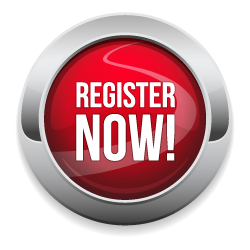 When you're done with these life-changing practical videos, books and online 9-day business training, then, you'll come to the farm on the last day of the training. but would one-day practical on the farm be enough to learn everything I need to know about fish farming? We found out how you could get the best out of this training, at your own convenience. We then brainstormed and found a way out. We went to two different fish farms in two different states of Nigeria with our professional cinematographer (camera man). We imagined you're there with us on the farm (listen and looking) and we're training you. 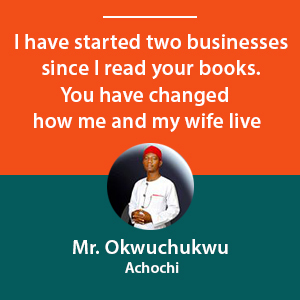 We then imagined what and what you need to know to start, run and succeed in the Nigeria fish business. 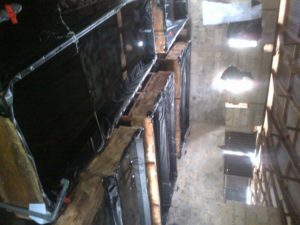 From this, we made two good (practical) video training on two different fish farms, in two different states of Nigeria. We made the first video on the earthen ponds while we made the second video on the concrete ponds. In between, we explained tarpaulin and robber ponds. In this way, no matter what system you intend using, the video will be your guild. 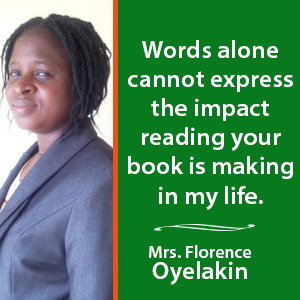 then we wrote a good, detailed book about fish farming business in Nigeria. it contains marketing and business parts of fish farming. As I told you before, we don't believe in just training you how to be fish farmer. Our goal is to make you a fish entrepreneur. 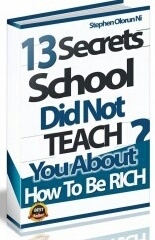 you'll also learn how to be entrepreneur. 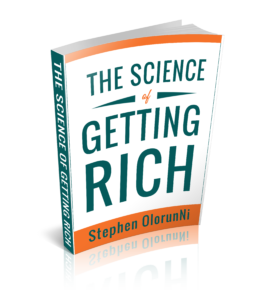 Some other good books that will prepare you for good business success would be sent to your e-mail. 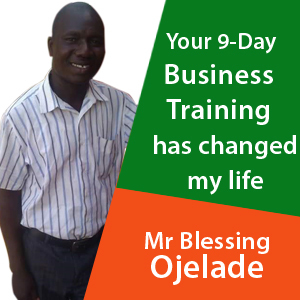 through our practical and intensive business and fish farming videos, books and other business training. 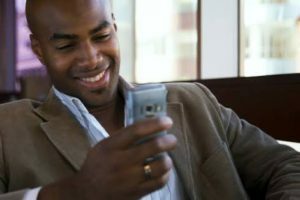 You can watch these practical videos on your phone when you have break at work. You can go through these reading training when you're in your car, going to work, after work on on weekends. We expect you to keep a jotter that contains your questions. Now, you'll come to our nearby farm on your convenient day. Third, to ask whatever questions bothering you. It's usually an interactive section where our trainer will show you around the farm and you ask him as many questions as you have. Our free practical video training program was designed for you if you're very busy or you cannot make it to any of our associate fish farms. We have designed this program to be as practical as possible. These days you can learn anything, even from your home. even from your sitting room, bed room or office. We shot all these videos and wrote all these books imagining you were right present at our farm. The videos were shot on two different fish farms so that you could get the best and practical training (just as if you're there on the farm). Yes, he did not come to our farm because he's a military person, serving in northern Nigeria. But our videos and books are practical and intensive enough to train him. talking to you, training you and showing you things, practically. 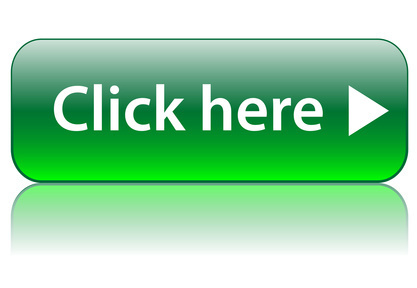 try and get free practical farm training or free practical video training program. It is better for anyone to give money to beggars, than to waste it on a business he/she knows nothing about. and to take you around the city, till you know your ways? simply because they don't have an experienced fish farmer who is willing to guild them. Now that you're having us, you don't have an excuse to fail. All the above training videos and books are online and can easily be downloaded with your phone, laptop or tablet. When you pay for them, you get them and download them, IMMEDIATELY, not the next day. But what if this is another internet fraud? 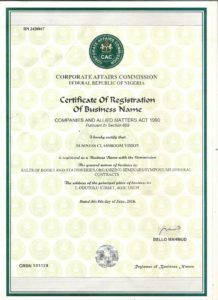 Africa Business Classroom (ABC) is registered company in Nigeria under the federal government of Nigeria. What that means is that, you're dealing with a registered company in Nigeria and have nothing to worry about. 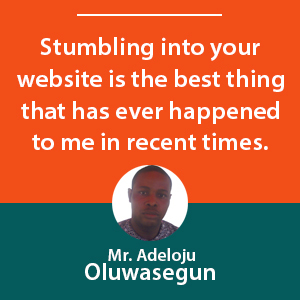 We have being touching lives since 2007 and no one has ever complained about our services. Even if you're paying #1 million for our services, you have nothing to worry about. This is so because we know what we're teaching. Imagine calling someone who has own a car and drove it for 10 years, to come and teach you how to drive? why won't it be practical and interesting? you'll always appreciate us at the end. This is our one whole year consultancy programs. For every crucial steps, for a whole year (or 3 months for just set-up). We are giving only 10 people the opportunity to work with us in this program, each month, for now. So if you want us to handle your project, call us today to get a slot and to get the discount. This is a 3-week intensive practical and interesting fish farming/business training. If you pay online, our staff will call you and send you all your materials. You don't have to go through any stress. If you pay with the above secure online payment processor, you have nothing else to do than to be expecting our staff's call and email. 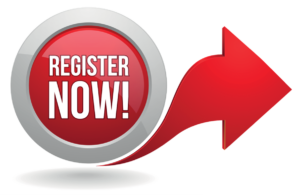 This is 2-weeks intensive practical training which you can get right from your home. The practical video training is 100% free for now. 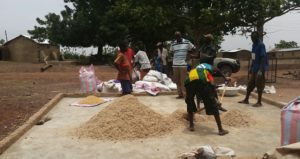 You're only paying a token for the business and fish farming materials. The video training alone may worth #30,000 to you. But you're getting it 100% free. 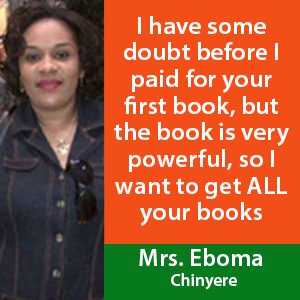 If you want to order the book alone, you'll pay just #3000. All the above training videos and books are online and our farm and can easily be downloaded with your phone, laptop or tablet. You don't have to do any other thing. What would you say about a soldier who is planning to go and fight Boko Haram and never prepare or get military training? That may be his end! The same thing happens to anyone who is starting fish farming business and is not willing to take some days out to learn (from experienced farmers). simply because they don't have any experienced fish farmer to show them the way. You don't have that excuse! 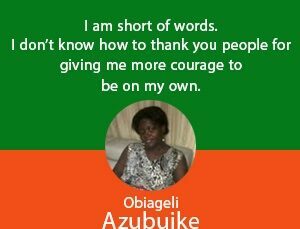 We have made every effort and sacrifice to help you. You can choose our consultancy program that allows you to get our experienced fish farmers as you "drivers" for a whole year. Or our free practical video training. I know you wouldn't want to choose the third one. ABC has a name you can trust. Then, we're the best you can work with on your fish farming project. However, if for any reason you're not satisfied with any of our programs, kindly let us know.